ZANTE FERRIES - New discounts from ZANTE FERRIES for the period 15/06-16/09/2018 and from 29/06 to 07/09/2018. ZANTE FERRIES for the period 15/06-16/09/2018 offers 20% discount at the aller-retour ticket with issued ticket of departure and return at the same time, at the return ticket. Also for the period 29/06 to 07/09/2018 offers 30% discount at the itineraries of each Friday of the vessela ADAMANTIOS KORAIS for the routes from Santorini-Ios- Sikinos- Folegandros and Sifnos to Piraeus. 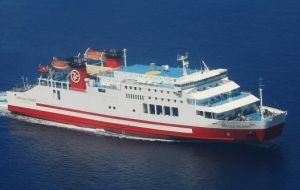 ZANTE FERRIES - Discounts from ZANTE FERRIES for roundtrip tickets and for itineraries of AD. 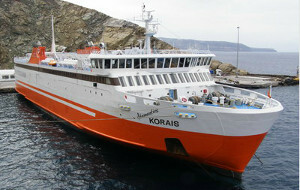 KORAIS vessel. ZANTE FERRIES offers 20% discount for roundtrip tickets (at departure and at the return) for itineraries from 10/6 to 15/9 only if the tickets are issued from 8/5/17 to 31/5/17. Also, from 1/7/17 to 2/9/17 there is a 30% discount for the itineraries of ADAMANTIOS KORAIS every Friday and Saturday from Santorini to Ios- Sikinos- Folegandros- Milos- Sifnos to Piraeus. ZANTE FERRIES - ZANTE FERRIES offers 20% discount in aller-retour tickets for trips from 10/6-15/9. ZANTE FERRIES offers 20% discount in aller-retour tickets for trips from 10/6-15/9 only if the tickets are issued from 24/4/17 to 30/4/17. ZANTE FERRIES from 01/04 to 01/10/2017 offers a 20% discount on the return ticket issued simultaneously round trip tickets for full fares. ZANTE FERRIES - Reduced prices for ZANTE FERRIES for departures every Monday from Piraeus at 14:00. Reduced prices for departures every Monday from Piraeus at 14:00. 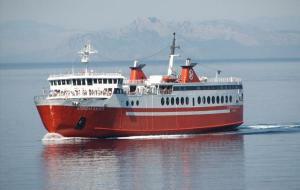 ZANTE FERRIES - 50% discount from ZANTE FERRIES for families with three children. 50% discount from ZANTE FERRIES for families with three children.